Have you pre-gamed your Black Friday shopping yet? Today over at Thrifty Nifty Mommy, Janessa is sharing tips on how to prepare now to save the most time and money on Black Friday. Make sure you head over and read about how she's using Flipp to up her Black Friday game this year! Have you tried Flipp yet? Not only is it great for Black Friday shopping, it's perfect as a way to help you save money on all of your holiday shopping trips, from groceries to gifts! It also makes creating and maintaining a household shopping list SO much easier! 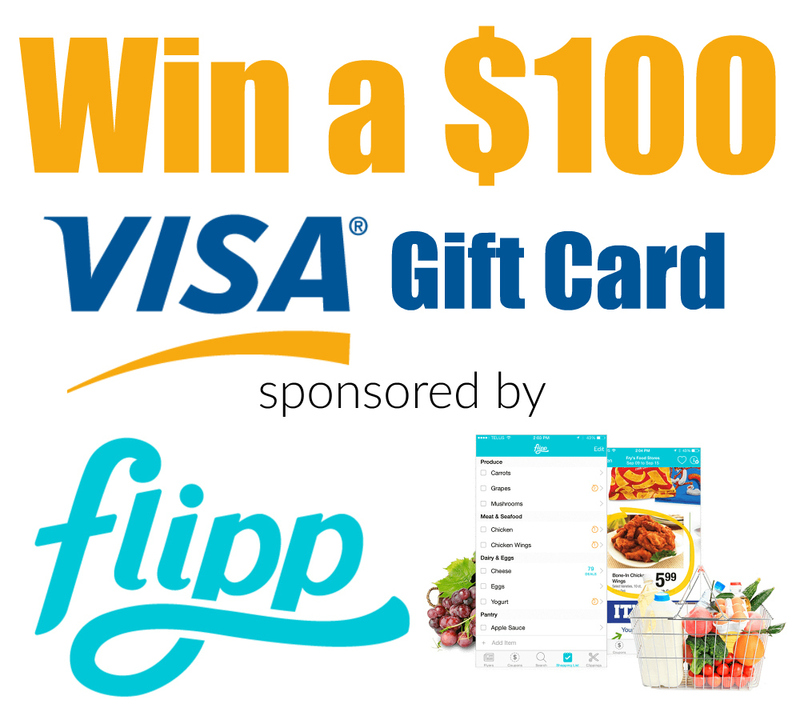 I'm teaming up with a few other bloggers to offer you a chance at a $100 Visa gift card so you can complete your holiday shopping using Flipp. If you'd like a chance to win, just enter using the Giveaway Tools entry form below. Good luck! I would love to win, fingers crossed.